Bro. Wendall Runion is a precious man of God. He has been used around the world, from America to Egypt, from Africa to Mexico as a beacon of Truth. His burden is to start as many churches as possible in his lifetime. 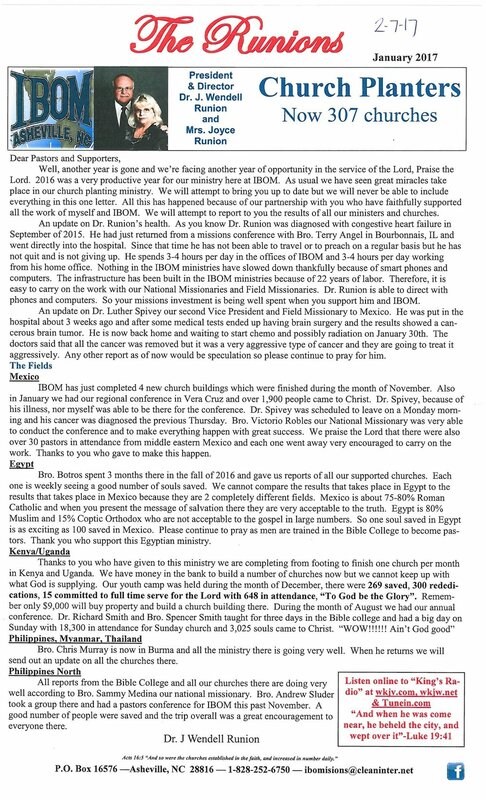 His philosophy is that if one goes and preaches one time and many get saved, that's wonderful, but if one plants a church which can preach to them again and again; that's even more wonderful.The Lord is doing amazing things through the ministry of IBOM as well! 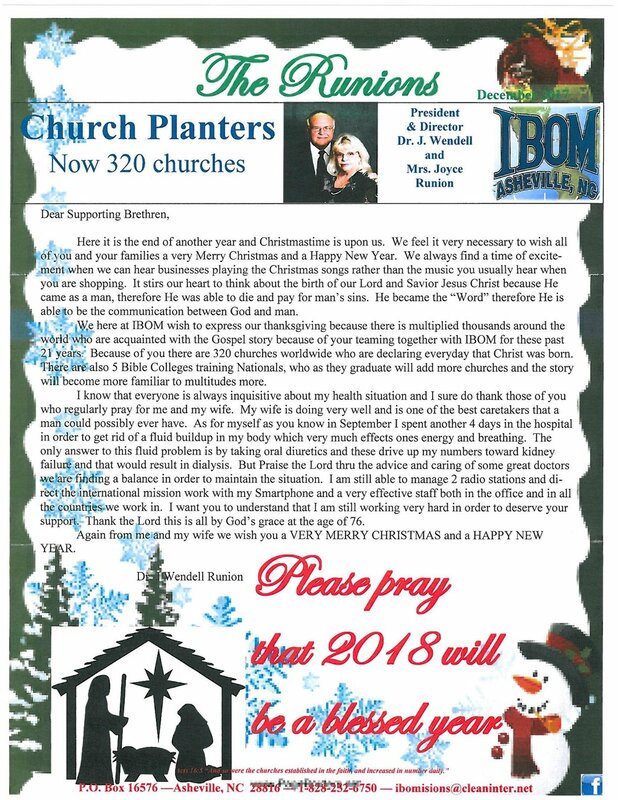 To date, IBOM has started over 250 churches worldwide and has Bible Colleges and Institutes all over the world! Global Baptist Church Planters is a ministry under the authority of Peachtree Road Baptist Church in Suwanee, GA under the leadership of Pastor Jay Reed. GBCP helps fund national pastors by working with established, veteran missionaries around the globe. Over the past 12 years, Global has helped to plant over 500 churches in over 9 different countries. 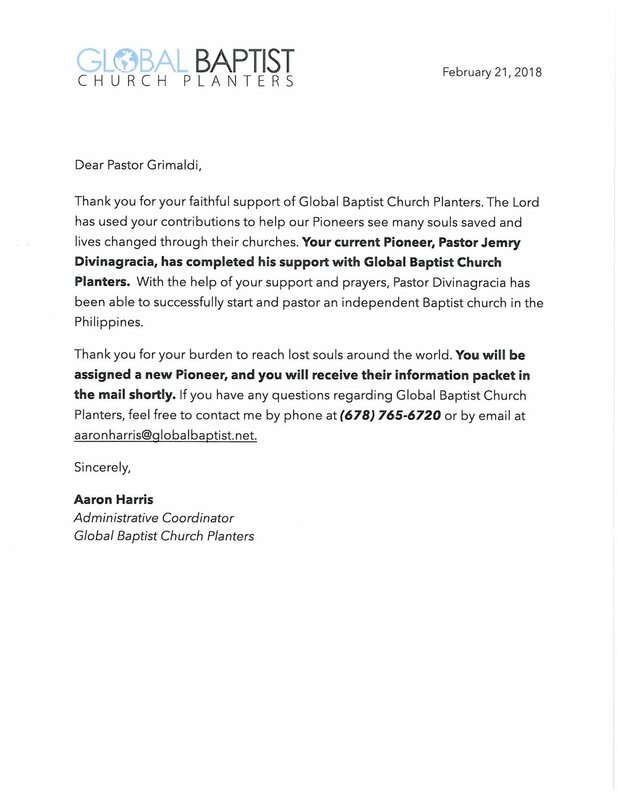 Local Churches support church plants by sending funds through Global Baptist Church Planters. 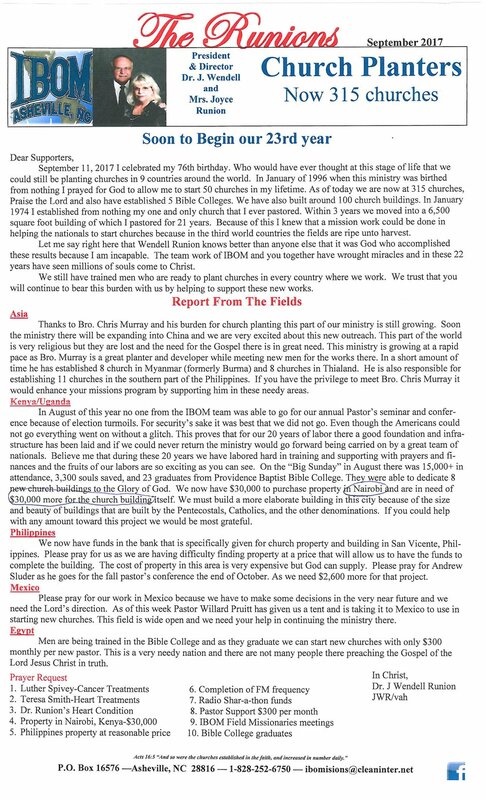 Global Baptist Church Planters helps maintain accountability of new church plants and sends funds through missionary Partners around the world. GBCP's Partners are established American missionaries who train and send out national pastors to plant churches. Lastly, Pioneers are national pastors who are fully supported for one to three years while their churches are established. 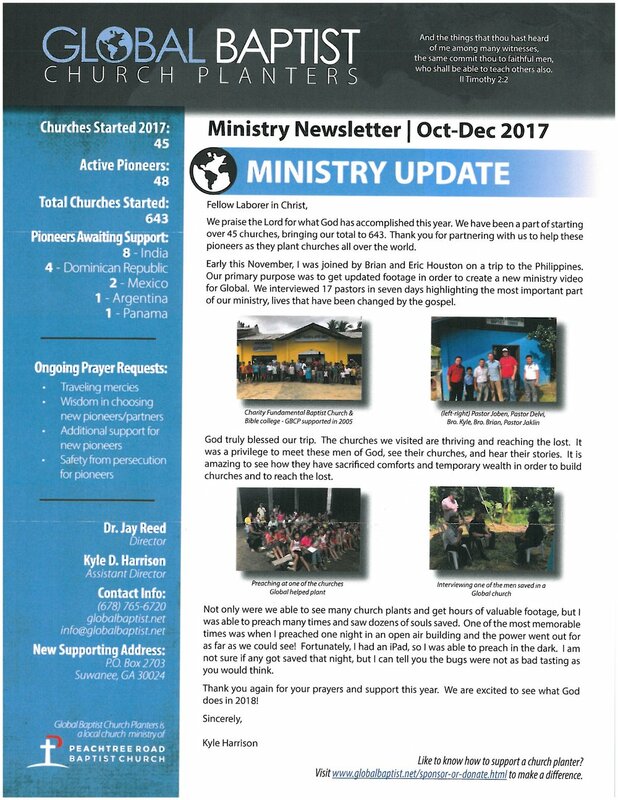 The mission of GLBM is to spread the Gospel of the Lord Jesus Christ in Myanmar and the Buddhist World by providing food, clothing and shelter for widows and orphans, establishing Christian schools to prepare young hearts, training and sending indigenous pastors and missionaries, and planting local churches. In Matthew 28:19 Jesus Christ our Lord tells us to “Go ye therefore and teach all nations”. Who better to teach within a nation than those indigenous to that nation in their own mother tongue. As Paul tells Timothy: “And the things that thou hast heard of me among many witnesses, the same commit thou to faithful men, who shall be able to teach others also.” (2 Timothy 2:2) This is a vital concern. GLBM hopes to train masses of Burmese pastors in Biblical fundamentals and send them to share the mighty Gospel of Jesus Christ our Lord with their people. God is blessing with planting and raising up new Churches all over Burma.